Did you used to like to camp, yet crave a comfortable bed, and prefer the luxury of indoor plumbing that you don't need to share with your neighbors? Are you environmentally conservative with your water usage? 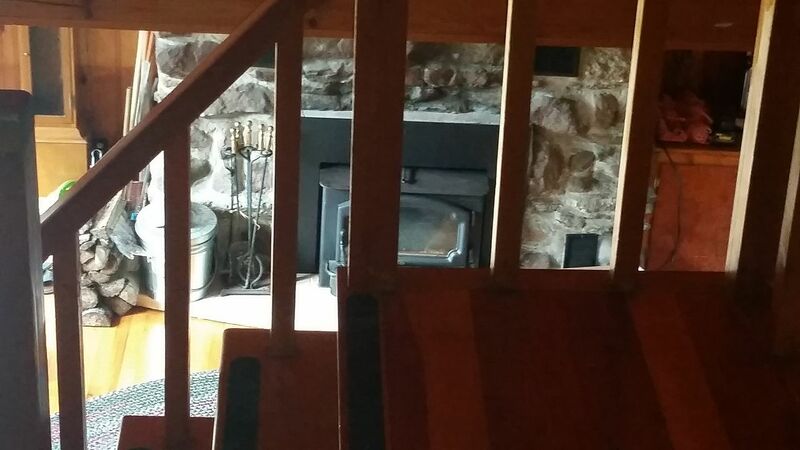 Do you love to sit by the fire, relaxing and taking in the view? Is a sandy beach a bonus for you? 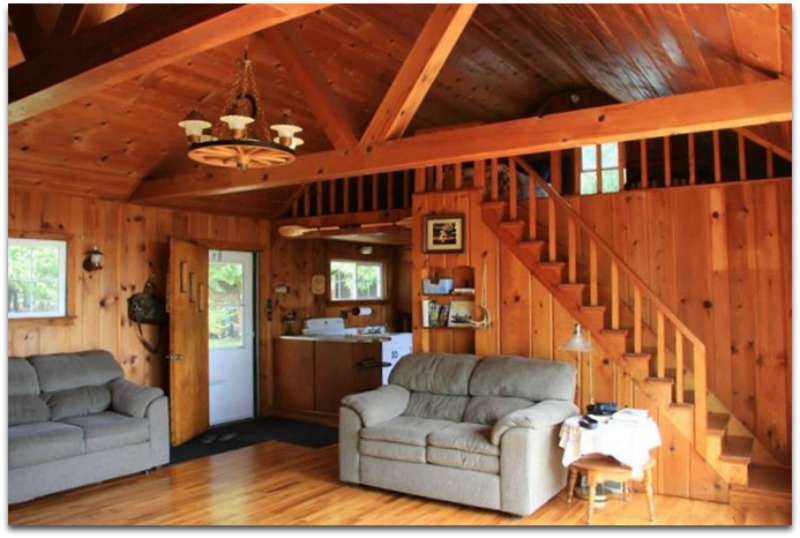 If so, this is the ideal cabin for you! 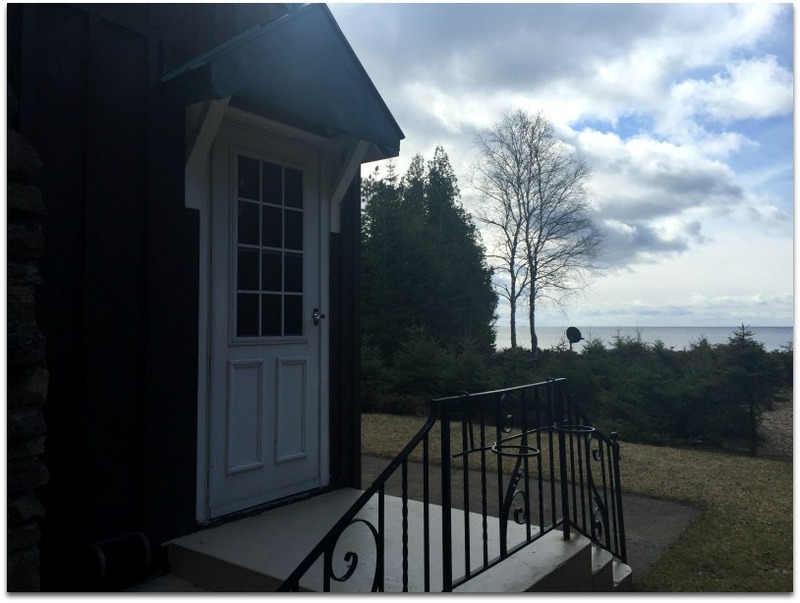 At the point between Little Bay de Noc and Big Bay de Noc, this cabin is ideal for capturing the beauty of Lake Michigan. Watch the freighters pass by on gorgeous Lake Michigan. 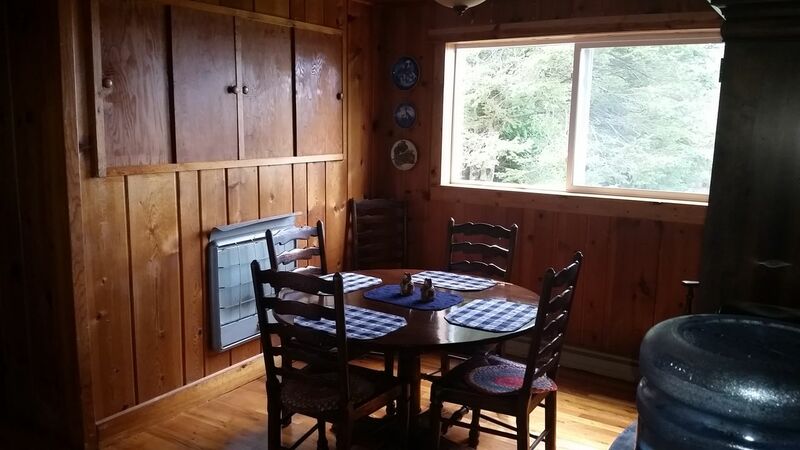 Have your morning coffee while you watch the eagles soar overhead, or take the view in from behind the big picture window in the cabin. Sunsets are spectacular here! 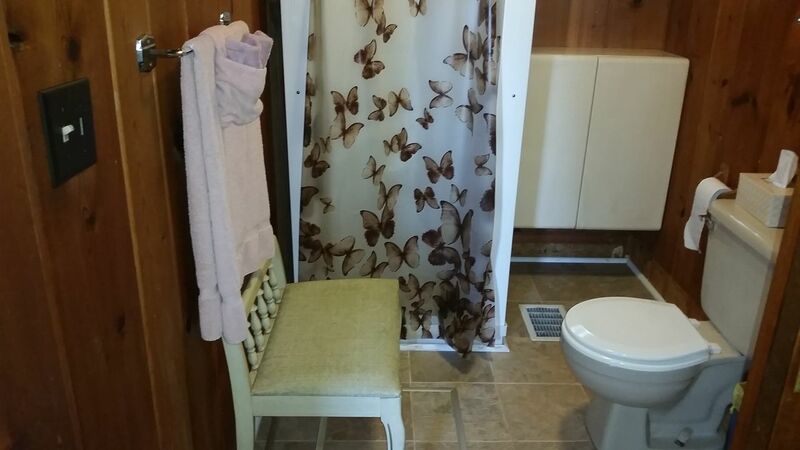 Enjoy the privacy and solitude without immediate neighbors. This cozy cabin, and its tranquil location, will capture your heart as you find respite from busy schedules and everyday stress. 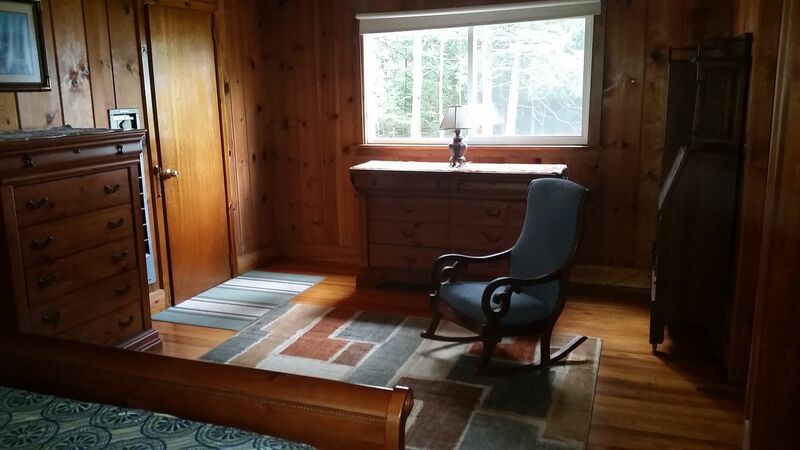 It would be an ideal writer's retreat, or a quiet, cozy get-away for an environmentally conscientious couple. 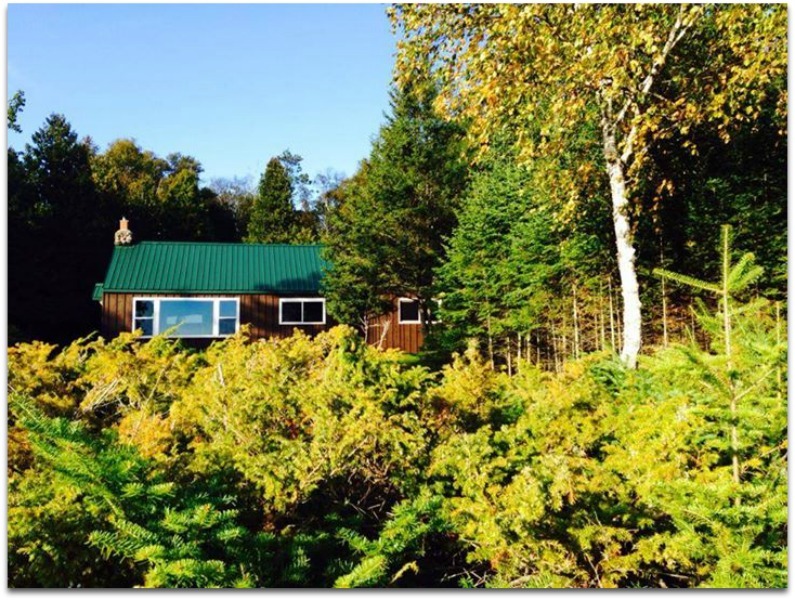 This cabin is ideally situated for active exploration. Bring your bike and enjoy miles of well-paved, quiet roads winding past bucolic farms, or bring your kayak. The clear, shallow waters of the quiet cove are perfect for kayakers. Anglers will enjoy the outstanding fishing opportunities at Big Bay and Little Bay De Noc. Enjoying hiking miles of trails within driving distance of the Stonington. 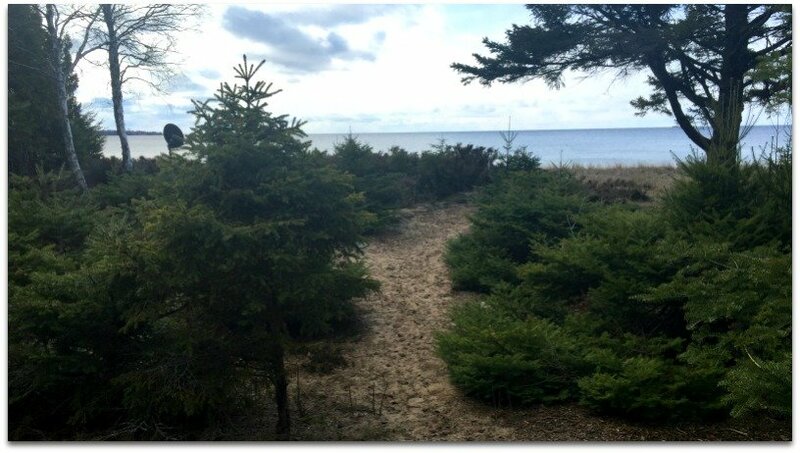 We are happy to announce that the beach in front of the Stonington Clearview Cottage is wide and sandy at the moment (May 2016) . It's been an ideal beach since the ice melted. Still, the tides do change at times, and in 2014, we did not have a beach. Therefore, if the beach is a bonus, and not a necessity, you'll love it here! The pathway down to the beach has some sea grass, yet it an easy stroll, all within 50 feet of the cottage door. 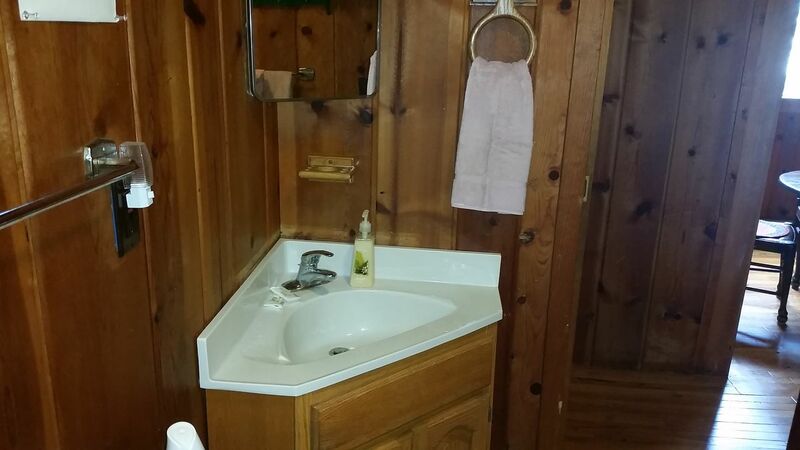 Water conservation at the cottage is not only nice, it is essential. The water system needs to be purged for 30 seconds each morning to clear the filter. 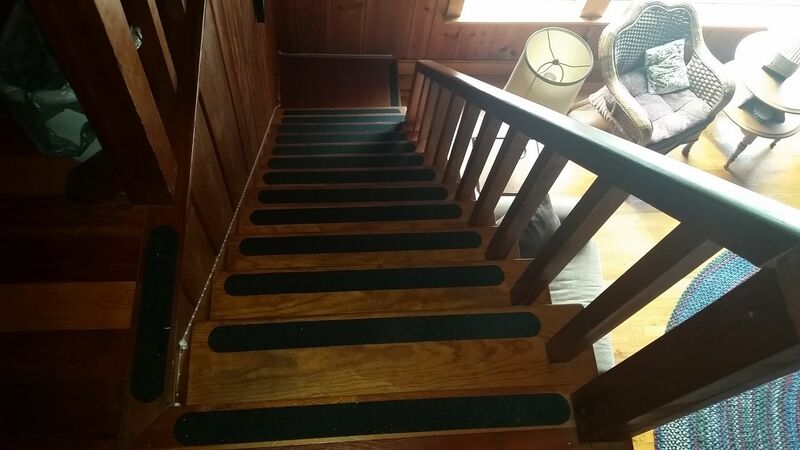 This is easily done by pressing the button located in the master bedroom. We have a 45 gallon holding tank. Once the tank runs dry, it fills at a rate of 6 gallons/hour. The daily amount of water most people normally use in their homes in the city would be excessive here. Daily showers for a family of 4, especially if you have average teenagers, in addition to multiple dish washings and toilet flushing (especially by teens or older family members) could result in a loss of water pressure before the week is out. Yes, sometimes the water will appear to have a brownish tint-- that is solely due to the iron in the water. 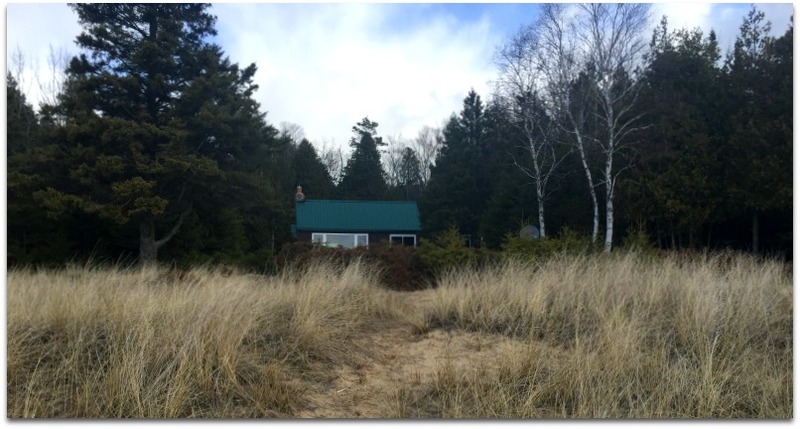 Go green in this beautiful lakefront cottage! 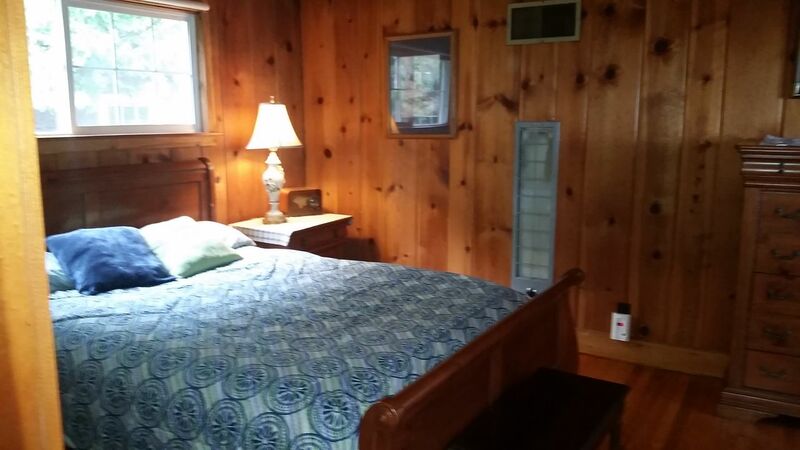 Drinking water is provided during your stay at the Stonington Cottage. 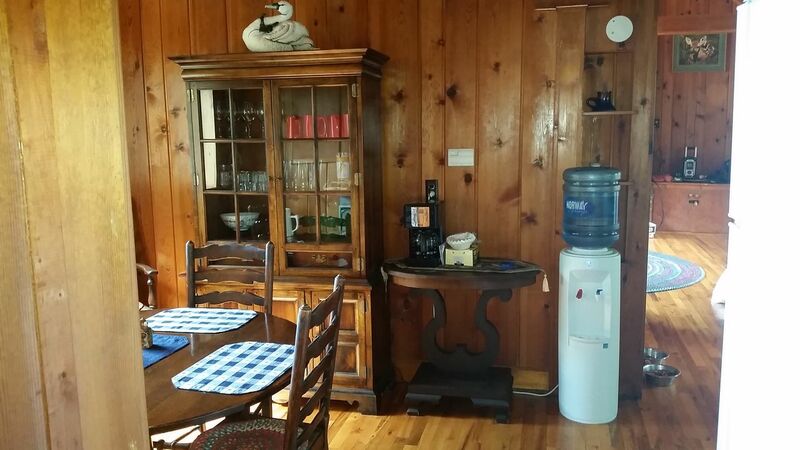 A water cooler is provided at the cabin, so you will have plenty of drinking water during your stay at the Clearview Stonington Cottage. Cara's favorite point about this cottage: This unique location--- right at the tip of the Stonington Peninsula, where the Little and Big Bay De Noc meet in Lake Michigan. I love that it gives you a great vantage point to see the freighters. The fire pit is set up perfectly. 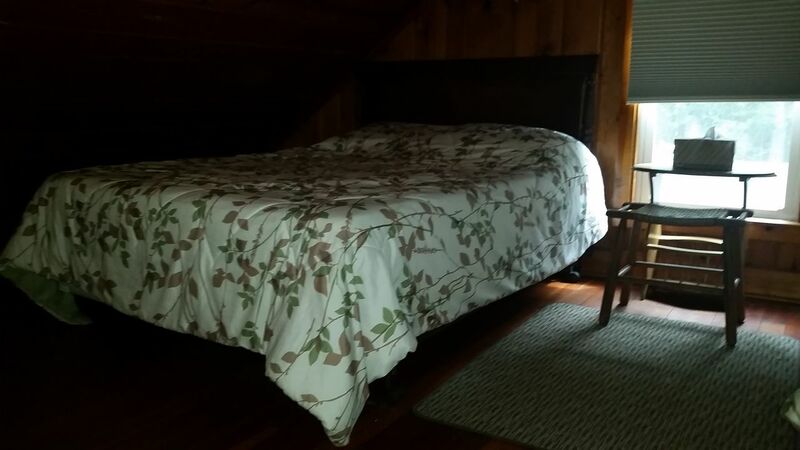 Upstairs (open loft): 2 double/full-sized beds. Peninsula Point Lighthouse- Very close to the cottage. Come for a visit and see where the Monarch Butterflies hang out around mid September! Tahquamenon Falls State Park- 139 miles and 2 hours 55 minutes away. Mackinac Bridge- 148 miles and 3 hours 4 minutes away. 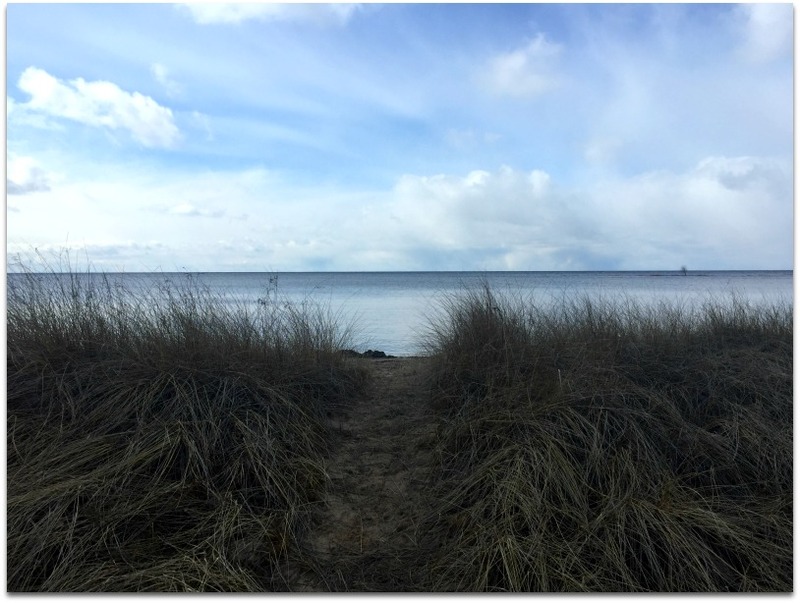 Beach: This is a small, natural, Lake Michigan beach. In 2016 and as of May of 2017, there has been a nice, sandy beach area. In 2015, the beach was underwater. Grill: Yes, there is a charcoal grill at the cottages. Pets are welcome! 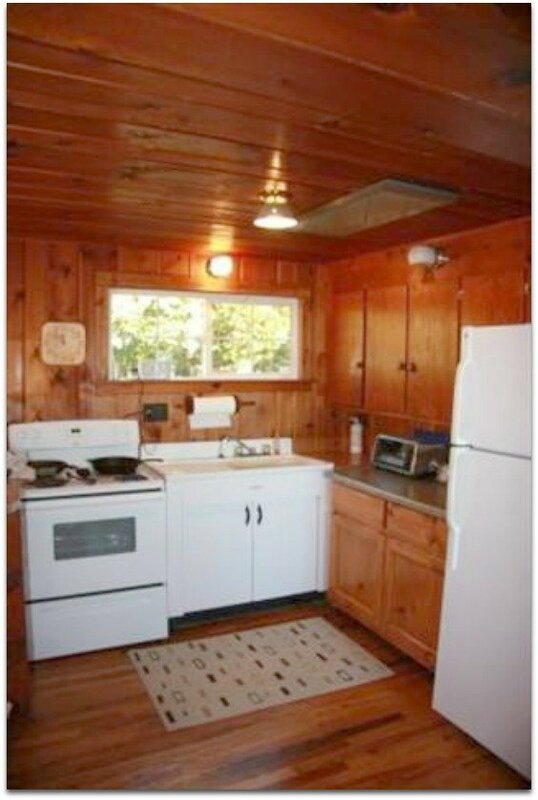 Freshwater Vacation Rentals currently charges $50/per pet. Water: Most of our guests and the owner's themselves have no problem with the water. Still, we have found that people from the city, who are used to an unlimited amount of water at all times have run the well dry during their stay, and have had to wait a few hours for it to slowly refill. This is a shallow well. We always like to fully disclose any potential hiccups. If you are looking for peace and quiet along with a beautiful beach, this is the place! 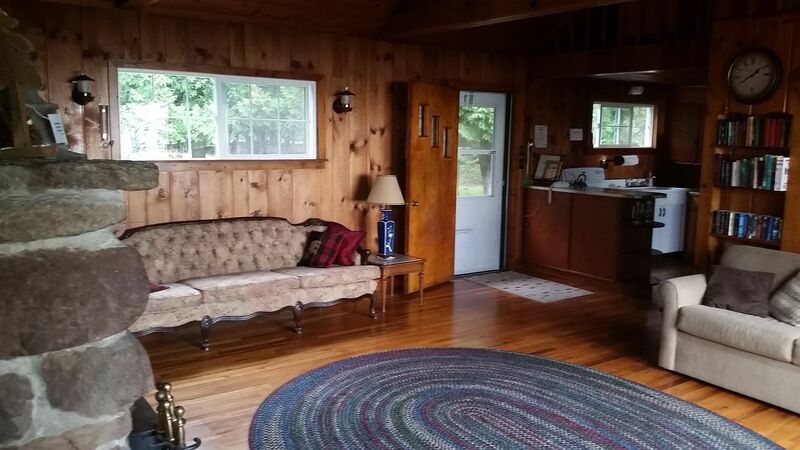 Linda, we are so happy that you enjoyed your stay at Stonington Clearview Cottage. Being on Lake Michigan is such a summer treat! What a wonderful vacation setting!!! It was very relaxing and comfortable. It would be nice to know where to replenish the water bottle, and where to recycle. 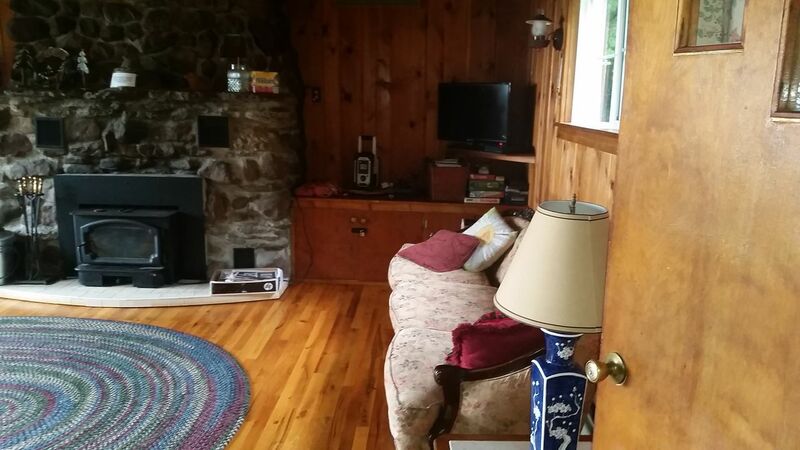 James we are please to know that you enjoyed your stay at Stonington Clearview Cottage. We keep additional bottled water on site that the cleaner has access to, so I apologize if you ran out. Guests can leave the empty 5-gallon jugs next to the water cooler and our cleaners will replenish them. We hope to see you back again! I just loved this place! 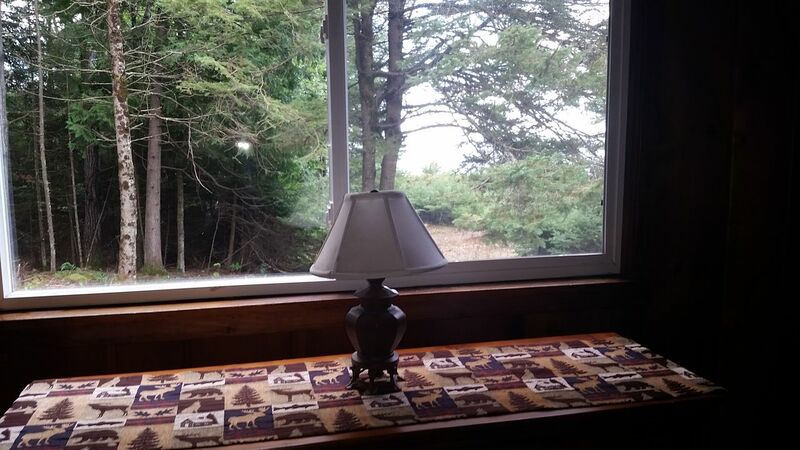 I felt so at piece with the beautiful water view and the cozy cottage. 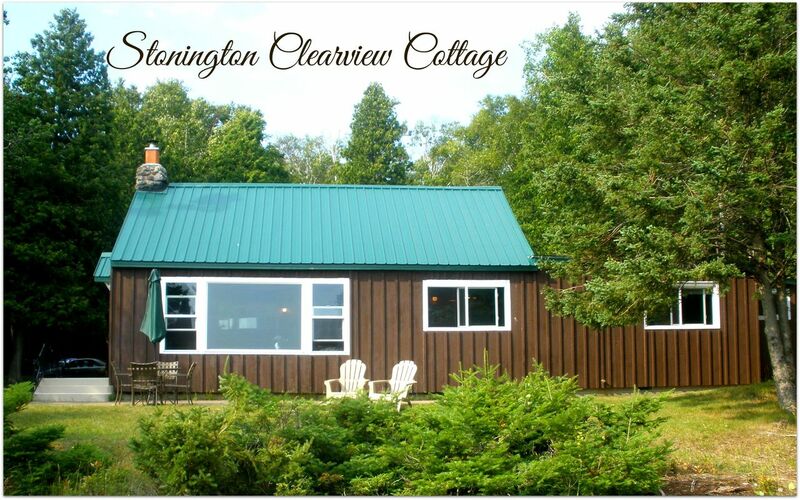 We are so glad that you enjoyed your stay at Stonington Clearview Cottage. It is peaceful and cozy. 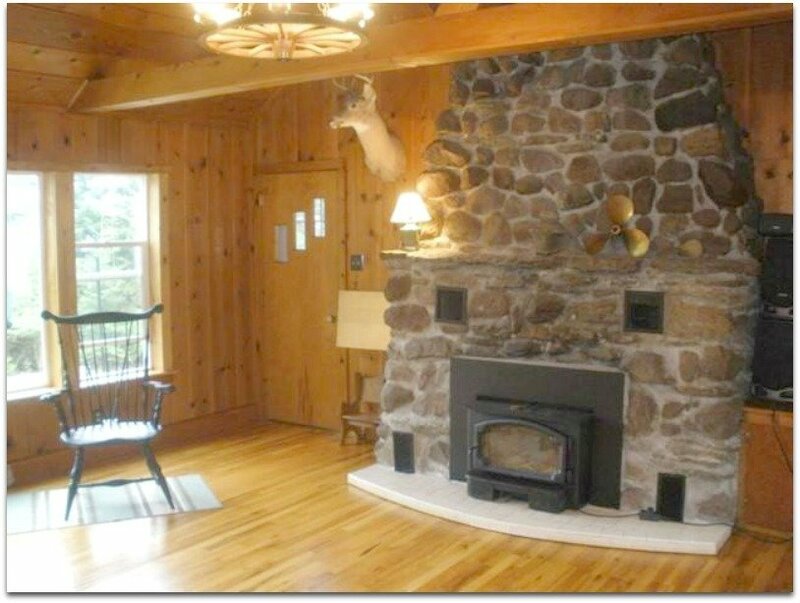 Don't you just love that stone fireplace? The beauty of the U.P. is breath-taking and the convenience to sites like Pictured Rocks makes it even better. 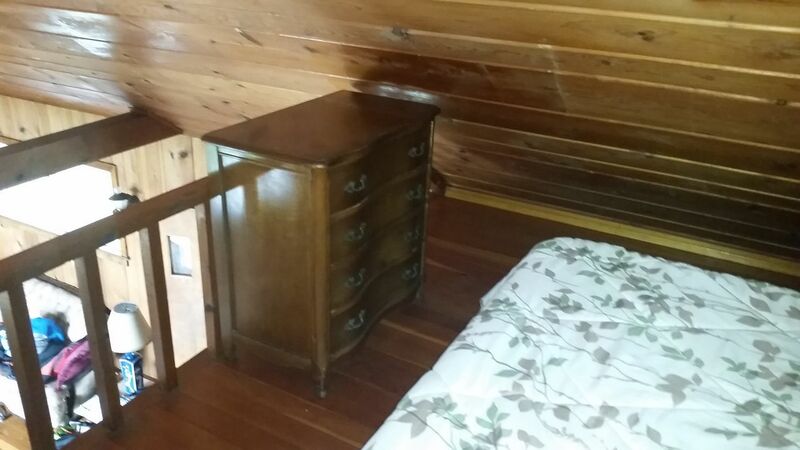 old style, very cool cabin w/ great view of the big lake. It was an awesome stay. We are happy you enjoyed your stay! We hope to host you again in the future! Clean , and sweet , perfect for quiet and relaxing times I would go back in a heartbeat ! This lovely place allowed me to refresh by self . Peaceful and beautiful. Thank you for sharing your lovely place with me. 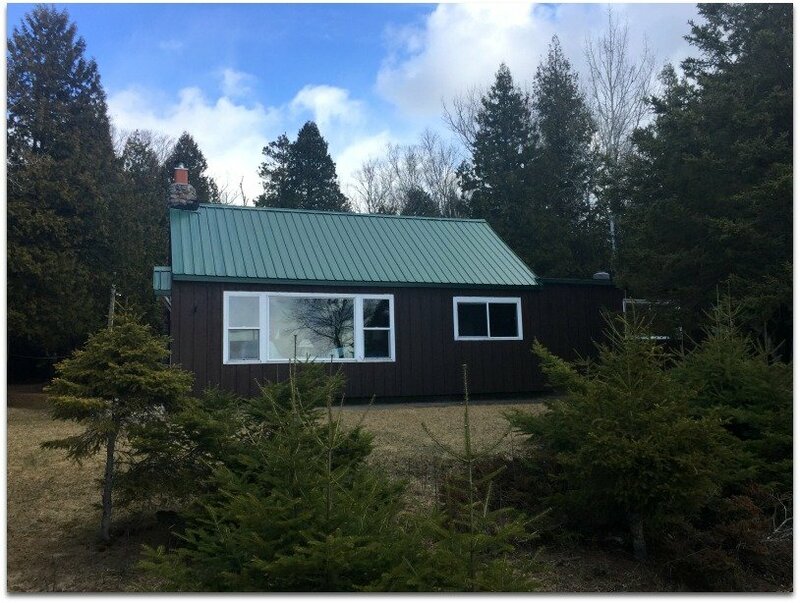 My family loved this cottage. 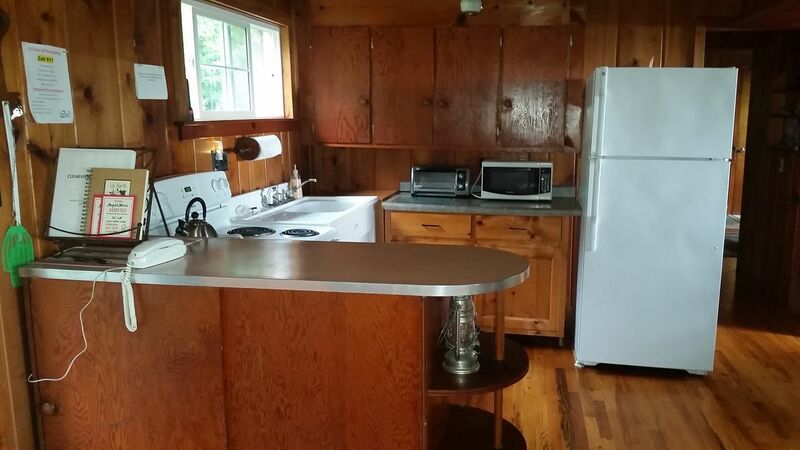 All the amenities we wanted and so many personal touches that gave the cottage so much warmth and character. 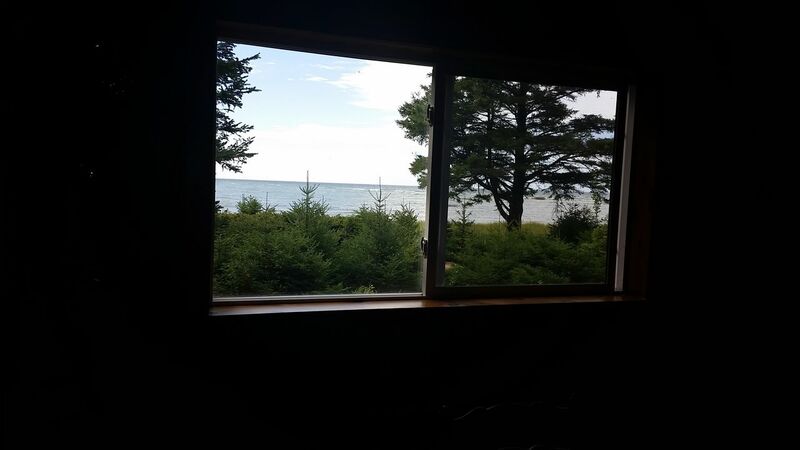 Opening all the windows and letting the breeze come in off the lake was divine and we all slept deeply. Water conservation was simple and easy to maintain. We walked out to our little private beach every day and soaked in the views, cooked in the fire pit, and wandered in the woods. We saw a bald eagle family and countless deer during our stay on the peninsula. We were sad to leave and plan on coming back in the future. OHHHH, the Bald Eagles...wonderful to watch. We are happy you enjoyed your stay! Please tell us your future dates so we can reserve them! Very good. Experience was good. Water is poor but ok to work with. Ants. View, beaches and Fayette park was the highlight. We had a fabulous time. We are happy you enjoyed your stay. Ugh...ants in the UP are hard to control. Sorry for the inconvenience. The view are so spectacular. 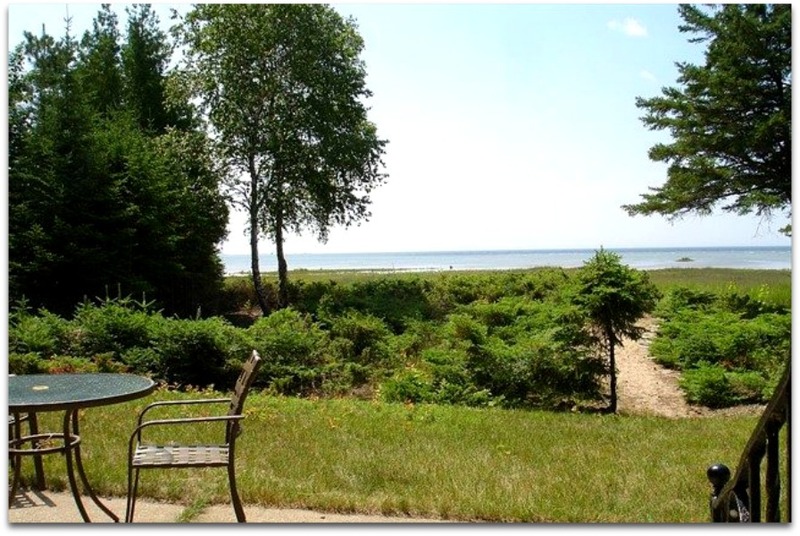 We are glad you booked with Freshwater Vacation Rentals and hope you checkout our other 54 waterfront properties throughout Michigan. 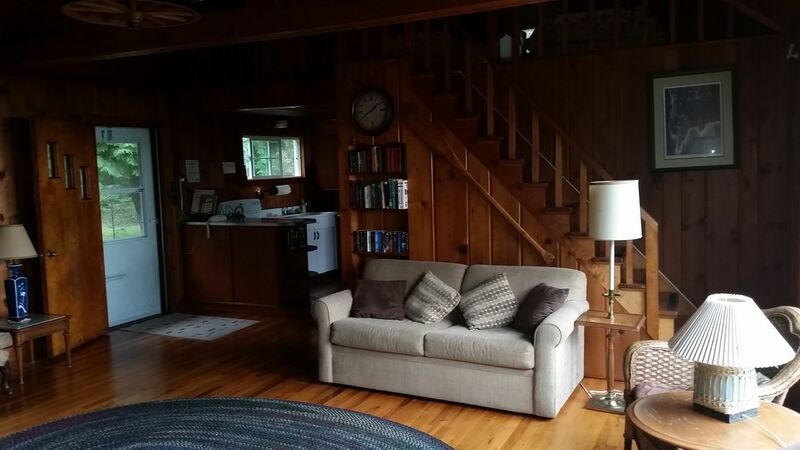 I surprised my wife with a get-away to our favorite summer location- the UP- this time we ventured to the south (we have historically gone to the Superior side) and found a fantastic location in the Stongington Cabin. It felt like we had the whole bay to ourselves- perfect little beach area, great views, and perfectly cozy. 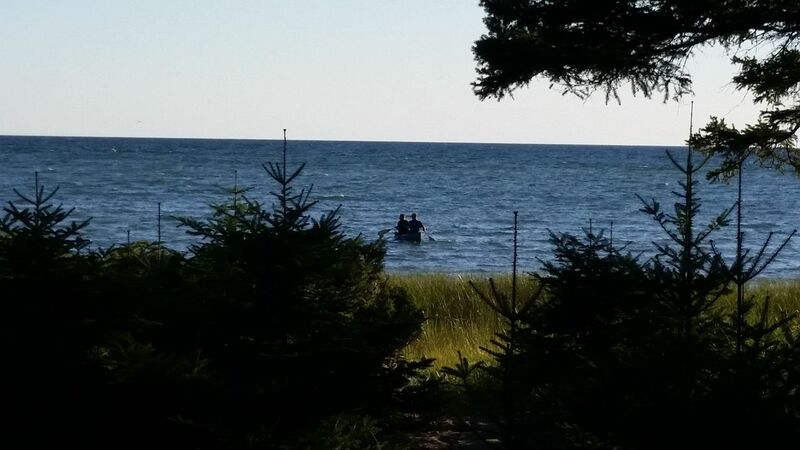 The location is just far enough away from the "big city" of Escanaba to feel like you're really getting away, but close enough it's not a complete haul to head in for a little sightseeing or to grab a bite to eat. Our only issue was...we needed more time! We will definitely be back! It is always nice to visit the Superior side; there is such beauty there! We are happy that you enjoyed your weekend. Sounds like the wife had a blast! Be sure to call us to book your 2018 Michigan adventure! 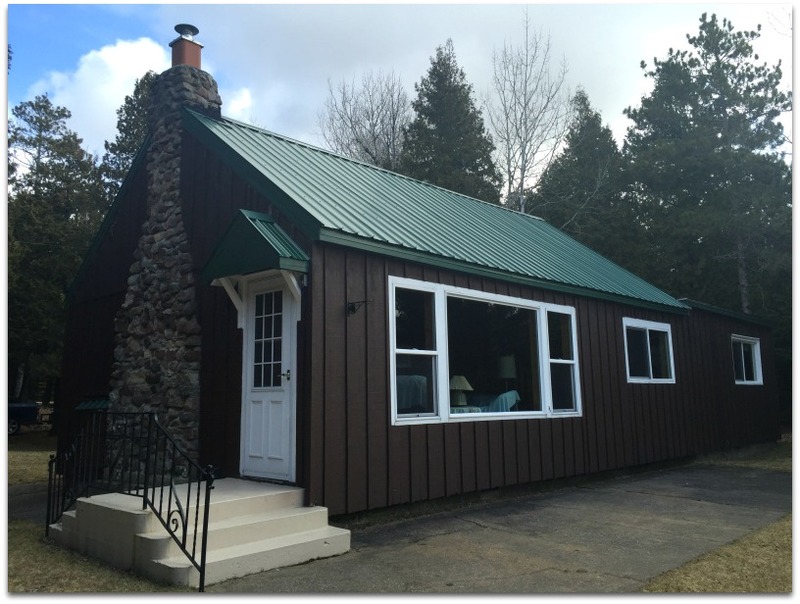 The cabin easily accommodated four adults. Bottled water supplied. 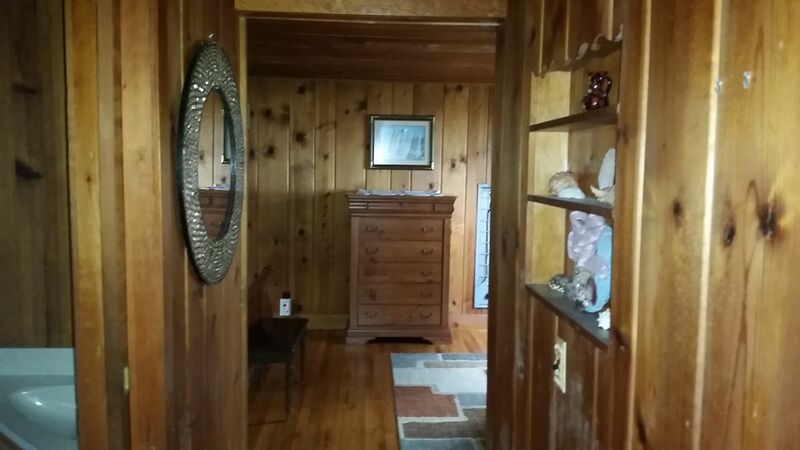 Knotty pine interior provided a retro feel. Will rent the unit again the next time we visit the area.